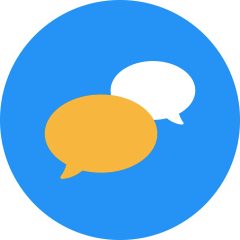 Learn how Apple Valley dramatically improved their Employment Application process by going Seamless. Check out how O'Fallon saves big time and money with one simple switch. 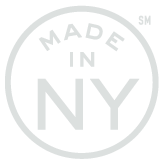 Check out how Bullhead saves time and money by changing just one form. 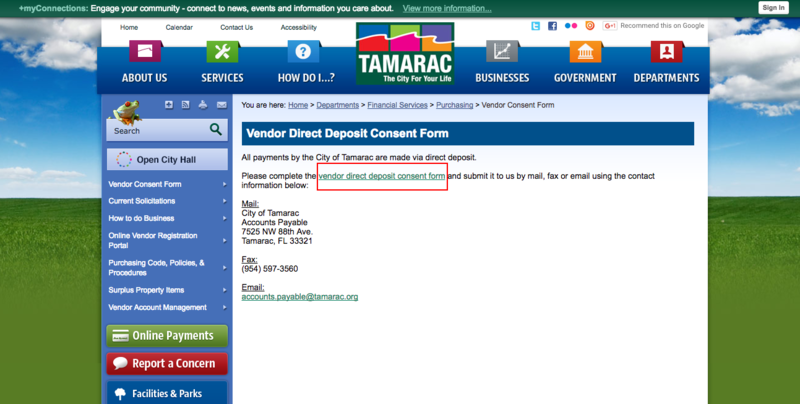 This is an employment application, you can send out or post this form on a website. 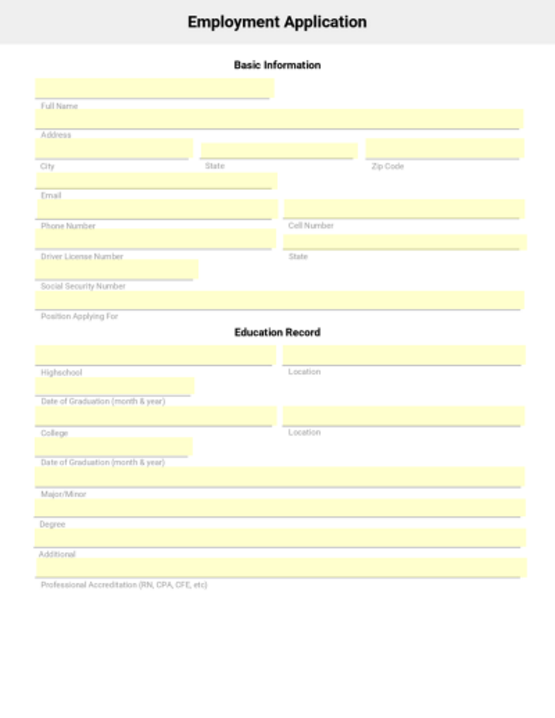 Anyone can fill it out in order to apply for a position. A task commonly assigned to government clerks is processing employment applications. 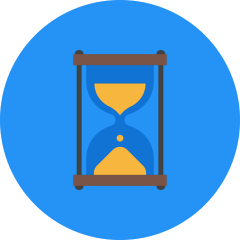 Our template will help clerks to more productively process their employment applications. 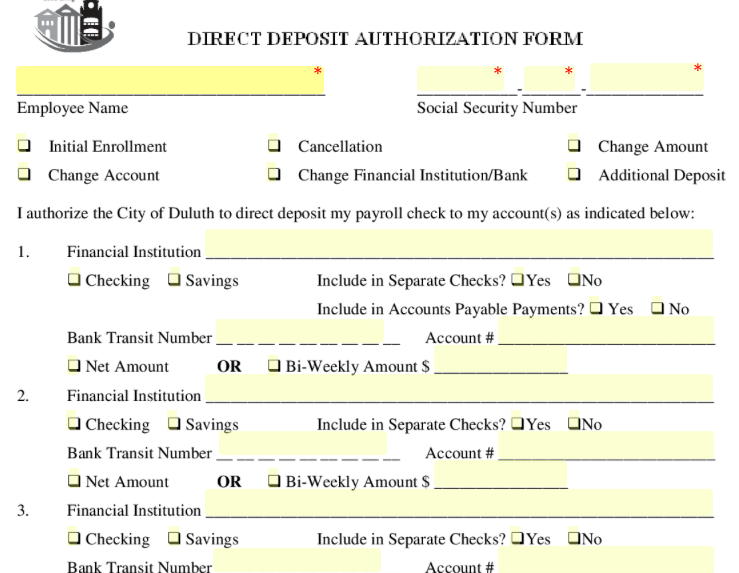 Filling out a direct deposit form is simple with this Direct Deposit Authorization Form. 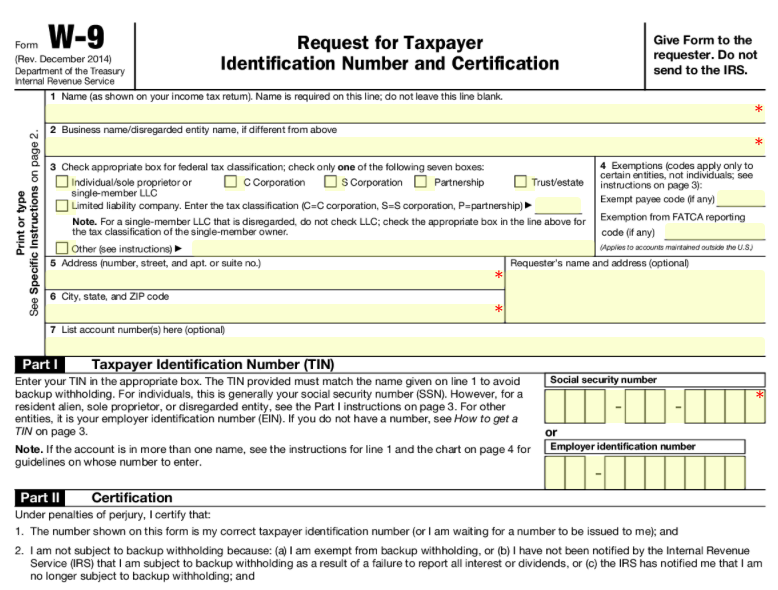 Filling out a W-9 online is simple and quick. 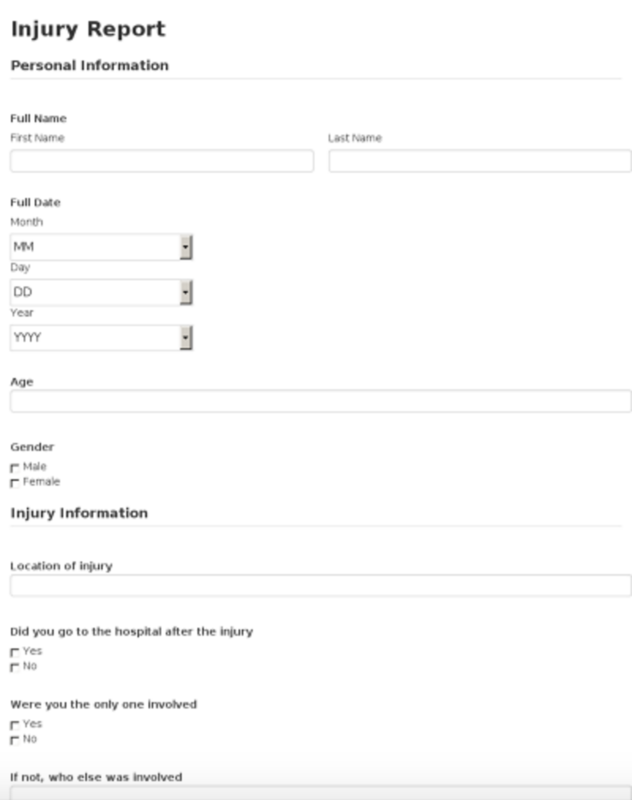 Pull up the form, fill it out from your computer, tablet or smartphone, and within minutes, you can send it over to your employer. Many companies commonly requires new employees as well as applicants to go through screening processes for employment, including drug testing prior to a job’s commencement. 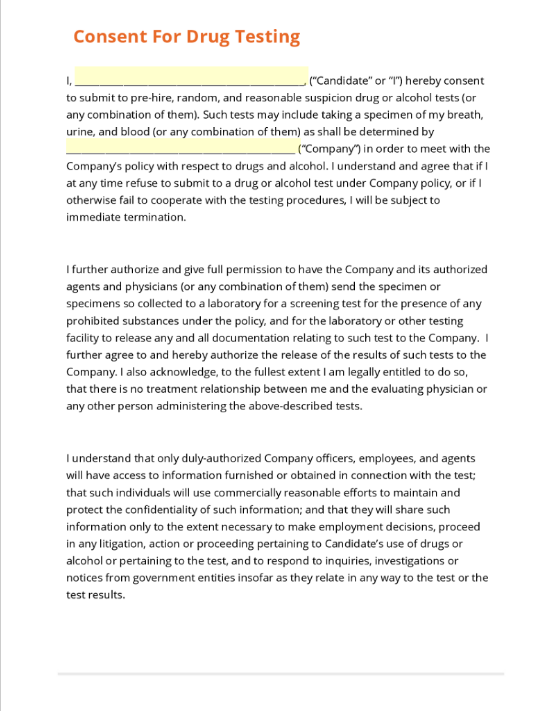 Use the Consent for Drug Testing form to get written consent from any party to undergo drug testing for employment screening. Once a company has to decided to make an offer, it’s likely that the prospective employee is weighing offers from multiple companies. 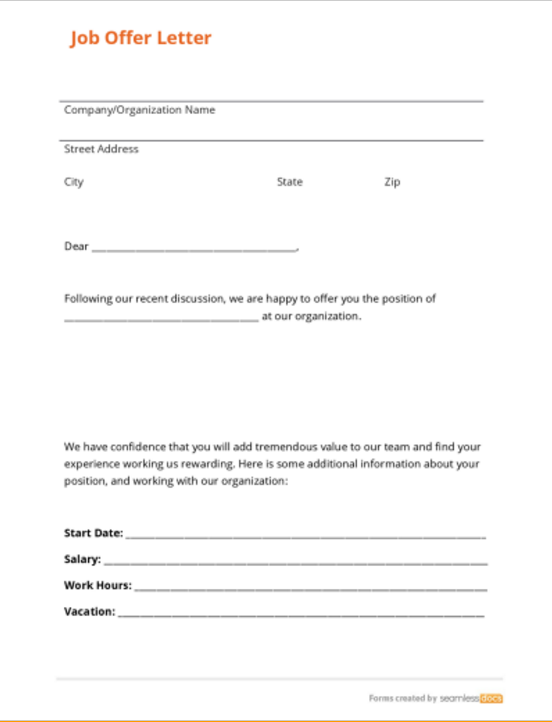 Use the Job Offer Letter form to create a job offer that rebuilds value around the company, organizational goals, and position, helping to convert that offer into an acceptance of employment. Hiring is one of the most important factors of creating a great company. Finding great people can be tough but who better than your staff to refer a new employee or hire candidate! 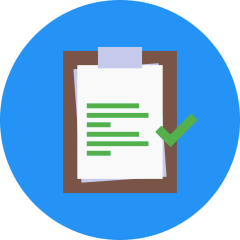 Our employee referral form makes it easy to collect standard info for a potential new candidate so that your employee referral process is seamless. 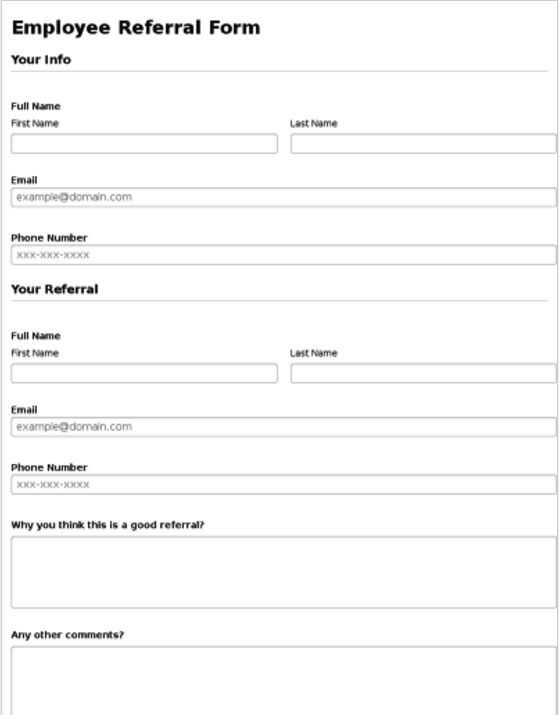 Send out your Employee Referral Form to your team today. Human Resources Departments routinely issue employees new handbooks when they become employees at their organization. 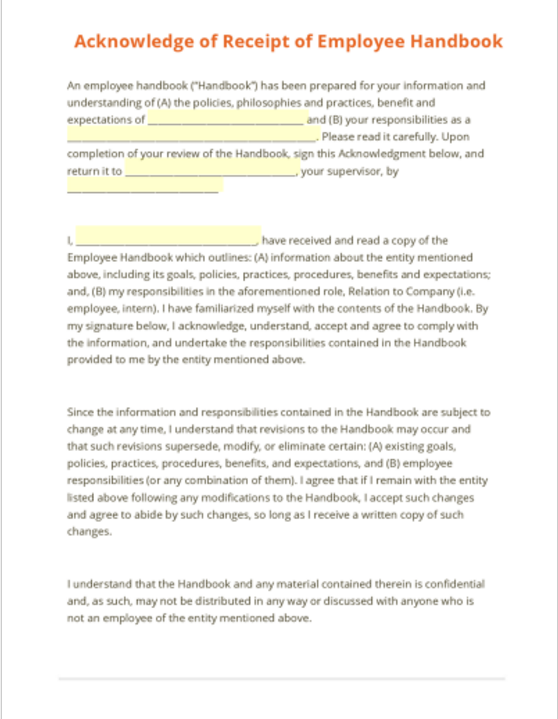 Use the Acknowledgment of Receipt of Employee Handbook Form to receive confirmation from new employees that they have received their handbook’s. 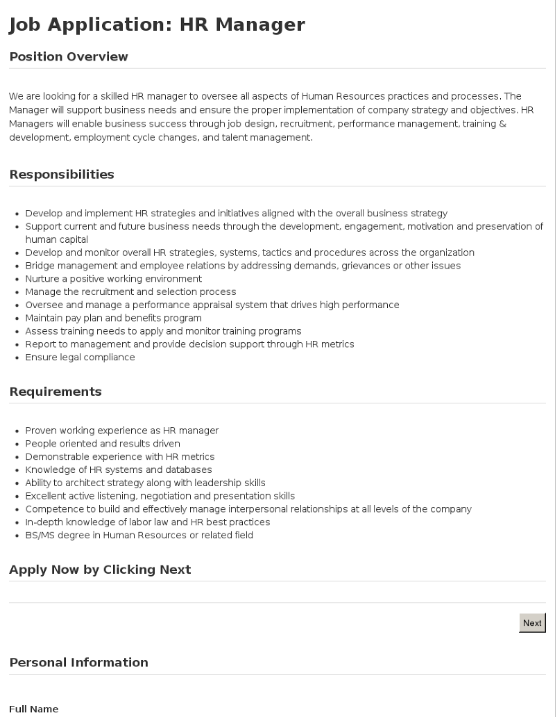 This is a template Job Application for a HR Manager. It includes a job description with necessary requirements and skills and then includes great initial questions about the candidate in an easy to complete web form. The job application for the HR Manager position is a great way to collect information and resumes from multiple candidates in a structured way. 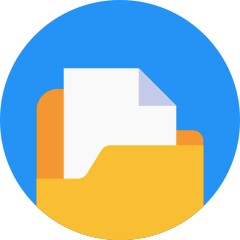 All SeamlessDocs Job Applications for HR Managers can be completed from any device, and are equipped with robust back end management tools. 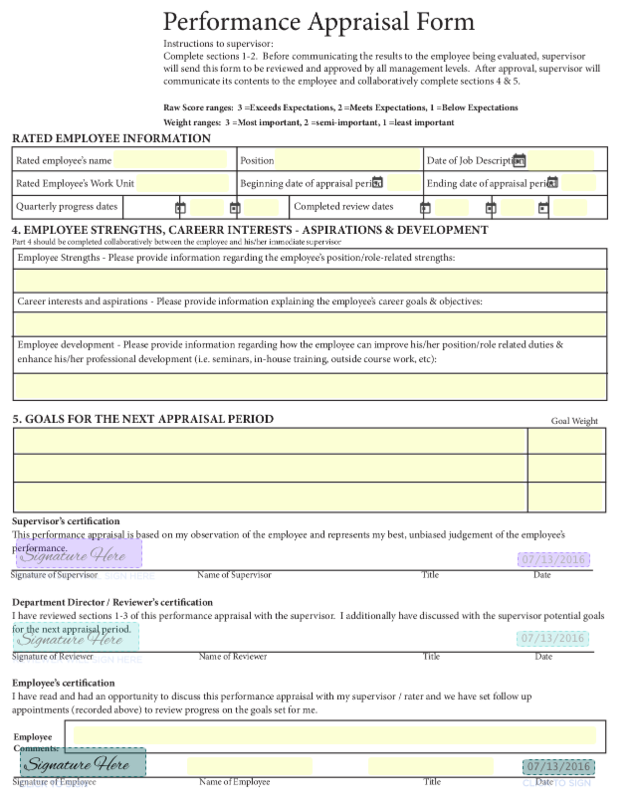 This performance appraisal form allows employers to evaluate their employees. It is thorough and can be used for any department or city.